Therefore, recently, and as I have featured on my blog, I prepare several different types of “bars.” These are meals, sides or desserts that everyone can choose their own toppings, flavors, relishes, accompaniments, or whatever. I often serve breakfast bars, main dish bars, beverage bars, or dessert bars. For some reason, everyone loves these–including my husband. 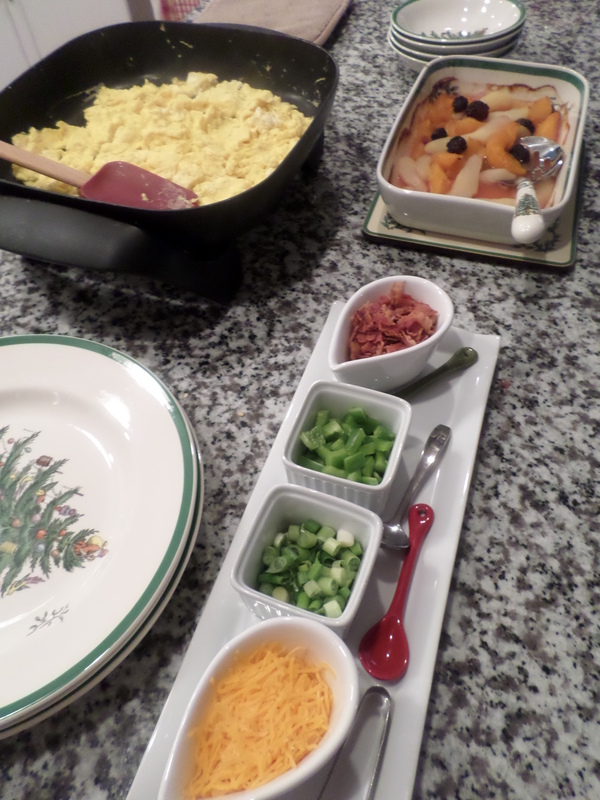 So, for one of the holiday breakfasts this year, I served a scrambled eggs breakfast bar. I made scrambled eggs and served them with shredded cheese, crumbled bacon, sliced green onions, and chopped green peppers. Along with the eggs, we enjoyed baked breakfast potatoes (featured on the blog April 27, 2011), baked fruit (featured November 30, 2010), and cinnamon puffs (featured January 6, 2015). 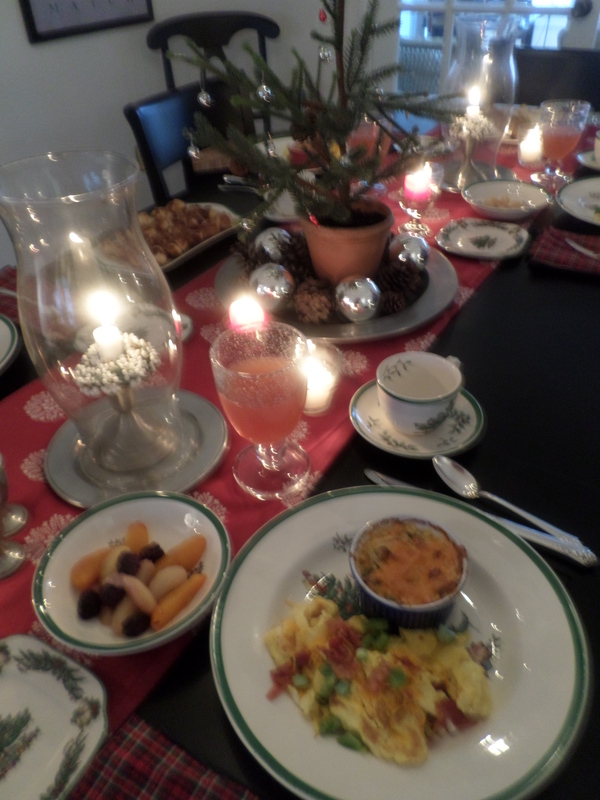 I did not hear any complaints this year during this meal.